Pa Papiamentu scroll mas abou. Voor Nederlands scroll naar beneden. 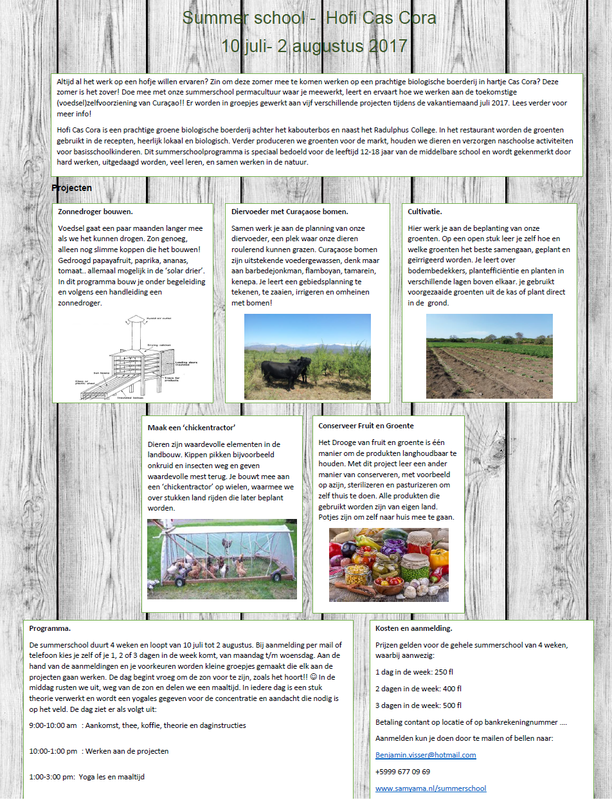 Welcome, bon bini, welkom! 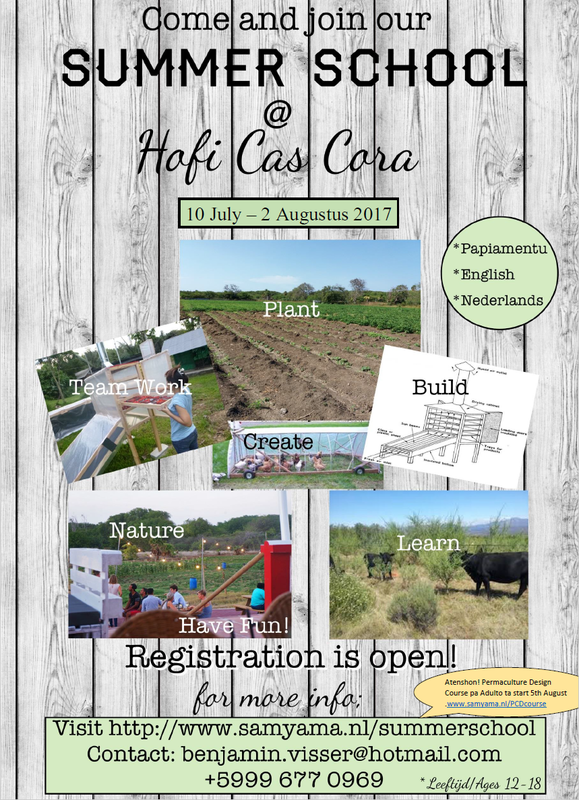 This summer we’ll be organising a summerschool ‘life on an organic farm’ at Hofi Cas Cora. The summerschool is supposed for teenagers from 12 to 18 years old. 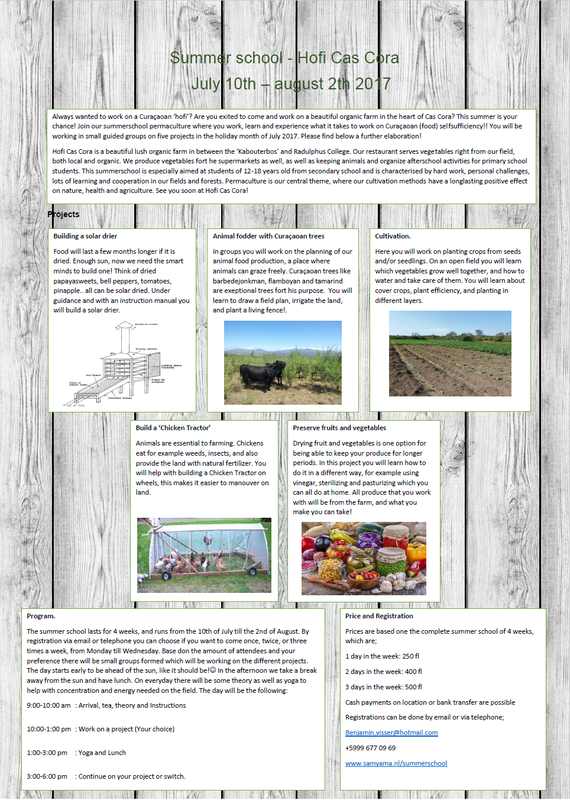 This month of July will be full of learning about organic farming, chilling in nature with animals and produce all around, building a solar drier and chicken tracktor, planting veggies and preserving that produce to take home with. A fun, instructive and sustainable pastime for you (your kids :))!! Attention! 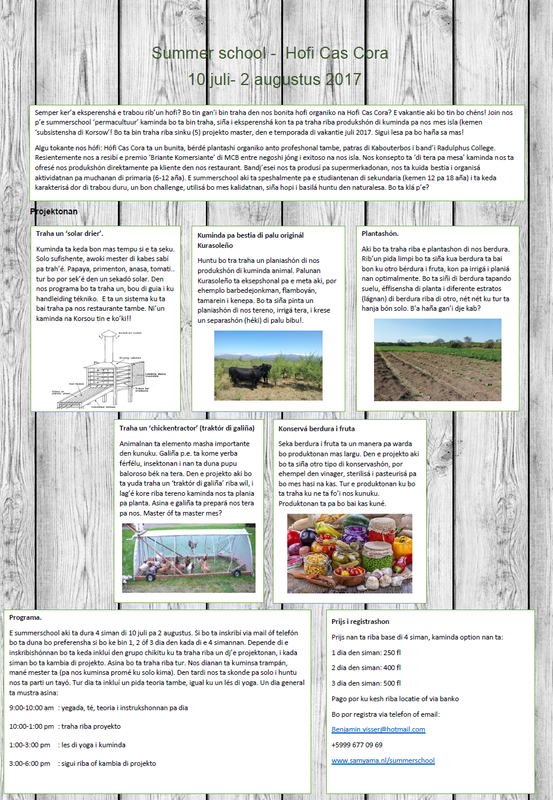 A same course, but more elaborate, our ‘Permaculture Design Course’ for adults will follow up and begin at august 5th 2017. For more info see our page PCDcourse.